Governor Ganduje frees fifty prisoners – Royal Times of Nigeria. 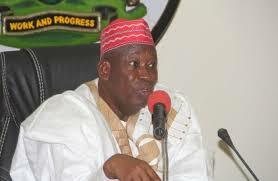 Governor Abdullahi Ganduje of Kano State has freed fifty inmates who are serving different jail terms at the Kurmawa Central Prison in Kano. The governor, who ordered the release of the inmates during his visit to the prison in Kano on Monday, said the gesture is in the spirit of activities marking the fiftieth anniversary of the creation of the state. He said the decision to visit the prison is to show to the inmates that the state government is aware of their existence and that they are also regarded as citizens of the state. The governor said the beneficiaries of the gesture were selected based on ill health, old age, gravity of offence and sign of reformation while in prison. He, however, advised the freed inmates to desist from acts that would warrant bringing them back to prison. Ganduje also said the state government will assist them with some money to enable them travel back to their communities.